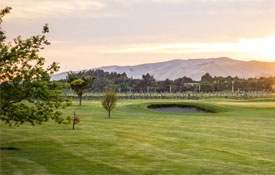 The Ashleigh Court Motel is situated within a five-minute walk from the town centre and several award-winning restaurants and cafés all serving a wonderful array of local Marlborough produce and wines. You can stroll through Marlborough's many beautiful public gardens, like Seymour Square or Pollard Park or visit one of our local Art Galleries. The Millennium Gallery is located opposite Seymour Square and is just one gallery showcasing art from around the region. Craft shops are also common throughout the area. If you enjoy a round of golf, Blenheim also provides lush green golf courses for your enjoyment. Just want to relax and enjoy the tastes of Marlborough? There are a number of wine trails that take you to some of Marlborough's world-renowned wineries. If you enjoy seeing the sites on foot then Marlborough is the place for you. Within Marlborough, walks range from short scenic strolls near Blenheim and Picton to the world famous 67km Queen Charlotte track in the Marlborough Sounds. Alternatively you can enjoy the picturesque scenery from the car with a drive along the Queen Charlotte Road from Picton to Havelock. This would have to be one of New Zealand's most scenic routes. The bush-fringed road winds through to the head of Pelorus Sound and the seaside village of Havelock. Sightseeing can also be done by boat. There are a number of exciting sightseeing and fishing charters that leave Havelock and Picton. Enjoy the sites as you travel from one secluded bay to the next. 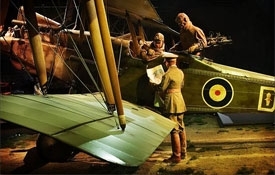 Marlborough has not forgotten about those who enjoy more adventurous activities while on holiday. 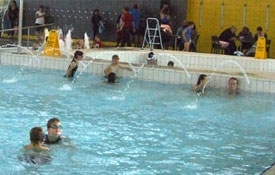 There is sea kayaking, horse riding, mountain biking, surfing and rafting, just to name a few. The coast drive to Kaikoura in the south of the region is one of the most scenic in New Zealand. Many people will know that Kaikoura is world renown for its whale watching and dolphin encounters. For your enjoyment and pleasure the friendly team at Ashleigh Court Motel can help in arranging a number of different tours to cater to your needs. 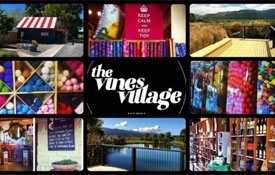 Located in the heart of the Marlborough wine country, just 15 minutes from Blenheim lies The Vines Village - Marlborough's Artisan Hub. Discover the very best in Marlborough wine, gourmet fare, crafts, clothing and culinary delights from the 7 artisan stores, nestled amongst expansive tranquil lakeside grounds. Makana Confections manufactures and retails gift-quality chocolates at its boutique chocolate factories in Blenheim and Kerikeri. 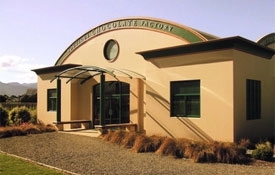 Makana has become a must-see visitor attraction along the Marlborough Wine Trail, where visitors can observe chocolates being hand-made, enjoy samples and shop - similar to a winery visit experience. 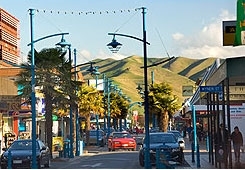 Here are some useful links for you to use to discover more about the Marlborough region. Have a relaxing, fun winery tour and wine tasting experience while travelling in comfort in our new Mercedes van. Information on the course, facilities and fees for local and visiting golfers. The official site for all things New Zealand, accommodation, destinations, sites and activities, transport, souvenirs and travel journals. Marlborough's premier vineyard bike tours. They provide free transport from/to Blenheim.